HKScan, the Nordic food and meat group, has started exporting Finnish poultry products to Sweden. They will initially be sold through the largest retailer ICA’s outlets under the Karinäs®(Kariniemen®) brand. The launch gives Swedish consumers access to a new innovation: high welfare farm-born poultry that is hatched on the farm where it is raised. This new concept is one additional guarantee of a high standard of quality, animal welfare and product safety throughout the farm-to-fork chain. “Swedish consumers have high standards in terms of the quality and origin of the food they eat. I am delighted that HKScan’s Finnish products can meet those demands by bringing responsibly produced Karinäs® products to the growing Swedish poultry market. This also marks the launch of farm-born poultry products in Sweden, only one in the market. We have great expectations for this innovation. The feedback from consumers was very promising. Consumers have had an important role in our concept creation process,” says Sofia Hyleén Toresson, EVP Market Sweden. The poultry meat exported to Sweden is sourced from around 80 of HKScan’s contract farms located mainly in western Finland. 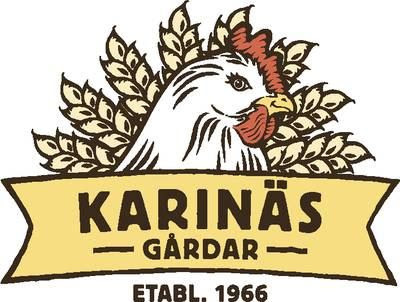 The high standard of quality has been the guiding principle of Karinäs® farmers since 1966. Examples of the results are that Karinäs® poultry is raised totally without antibiotics since 2009, the production is salmonella-free and incidence of campylobacteriosis is minimal. Selected Karinäs® farms were among the first in the world to adopt the farm born concept. “Frozen poultry imported from outside Europe continues to play a major role on Swedish dinner plates. Finnish-made Karinäs marks the arrival of a high-quality, responsibly produced alternative for the Swedish market. The launch of Swedish exports is one key step in our renewed strategy and brings notable synergies from cross-border collaboration. The launch of Swedish exports opens new avenues for progressive Finnish farmers and marks a significant step forward for our entire value chain,” says Heli Arantola, EVP Categories & Concepts. The poultry products exported to Sweden are produced at HKScan’s Rauma production unit, the most advanced production facility of its kind in Europe. The state-of-the-art unit and top expertise of Finnish primary farmers allow HKScan to offer a growing range of innovative, responsible products to HKScan’s customers both on its domestic and export markets. Consumption of poultry meat is rising steadily both in Sweden and Finland but is still below the EU average in both markets. Only around 60 per cent of the poultry meat consumed in Sweden is domestically produced, whereas the corresponding figure for Finland is 80 per cent. All Kariniemen® products are 100 per cent Finnish origin since 1966. Growth in the poultry segment is listed as one of HKScan’s strategic targets.